Every Thursday 10:00 – 11:30 am. Tired of feeling at the mercy of your mood? 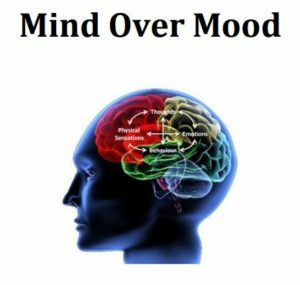 Just us to learn and practice the skills of Cognitive Behaviour Therapy (CBT) in the workbook, Mind Over Mood: Change How You Feel by Changing the Way You Think. *By Dennis Greenberger and Christine Padesky (Guilford: 1995).